Navigate to the Employee tab on the left-hand-side menu in your web dashboard. Click Add Employee located in the top right-hand corner. Click Add Employee to add one employee at a time. 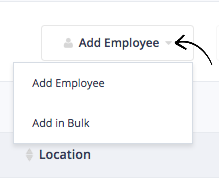 Enter employee details into the relevant fields, and then click 'Add'. 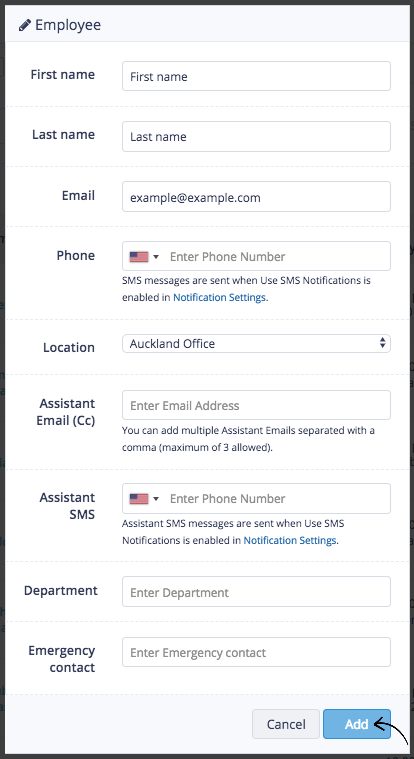 *The Email address is a mandatory field that must be filled out, to find out more about the assistant email please find our help article that will cover this process. * To find out more about the phone field, please locate our help article here. *Employees can also be uploaded in bulk, please find our help article that will step you through how to bulk upload employees.